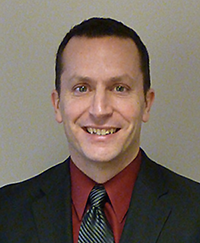 Patrick Balducci has been elected president of the Pacific Northwest Regional Economics Conference (PNREC). PNREC is a non-profit organization with a 51-year history of promoting research and education on the economy of the Northwest states and western Canada by convening an annual conference of the region’s economists from academia, business, and government. Balducci’s two-year term as PNREC president includes responsibilities of running and supervising the conference, leading Board of Director meetings, and providing financial oversight. Already taking his new role in stride, Balducci has sited the May 2017 conference for Bend, Ore., and worked with PNREC’s marketing team to rebrand the conference with an updated website and logo. Balducci joined PNNL in 2001. Based in Portland, Ore., he leads the industrial acceptance areas of PNNL’s Energy Storage program as part of the Energy Policy & Economics group, as well as efforts to enhance energy storage economic assessment tools for the U.S. Department of Energy (DOE). Additionally, he is leading research efforts to evaluate the benefits of microgrids and energy storage systems in California, Massachusetts, Oregon, and Washington. In his 20 years of professional experience as an economist and project manager, Balducci has authored more than 100 publications, including journal articles, conference proceedings, and technical reports. In addition to his work at PNNL, Balducci serves as an Adjunct Professor of Business at Marylhurst University. His own academic credentials include a Bachelor’s degree in Economics from Lewis and Clark College, and a Master’s of Science in Applied Environmental Economics from the Imperial College of London.